The owner of this website is a participant in the Google Affiliate Network (GAN), an affiliate advertising program designed to provide a means for sites to earn advertising fees by advertising and linking to companies or products offered through approved GAN advertisers. 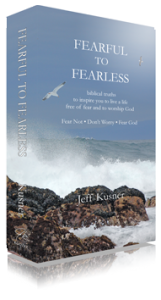 biblical truths to inspire you to live a life free of fear and to worship God. Brings together almost 400 passages of scripture that demonstrates or directs us to not be afraid, to not worry or be anxious, to look to Christ for strength and comfort, and be transformed to have a worshipful fear and awe of God.